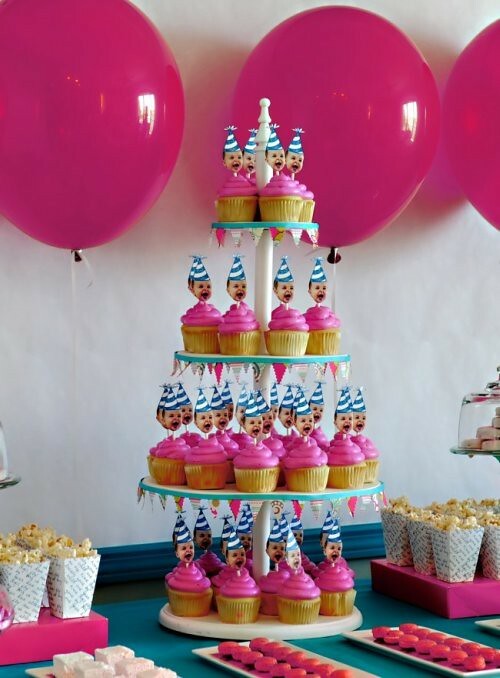 personalized party decor | Hip Hip Hooray! DIY party decoration time! 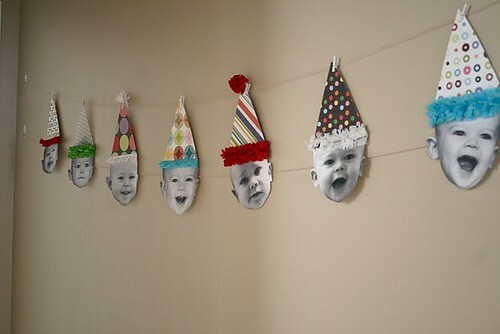 Print and cut a few photos of your child and create a garland or cupcake topper. It adds so much personality and is the perfect way to honor the birthday kid. Cute and oddly creepy at the same time. Minions – that’s what I think of. Agree with above. I would actually use this for an adult’s party. Would be really fun! What size is your babys face? and what is the size of the hat’s? I love your idea.